bitcoin is once again trading on the front foot and looking northwards. At press time, the bitcoin-US dollar (BTC/USD) exchange rate was roughly $5,700. As per CoinMarketCap, the cryptocurrency has gained 6.47 percent in the last 24 hours. 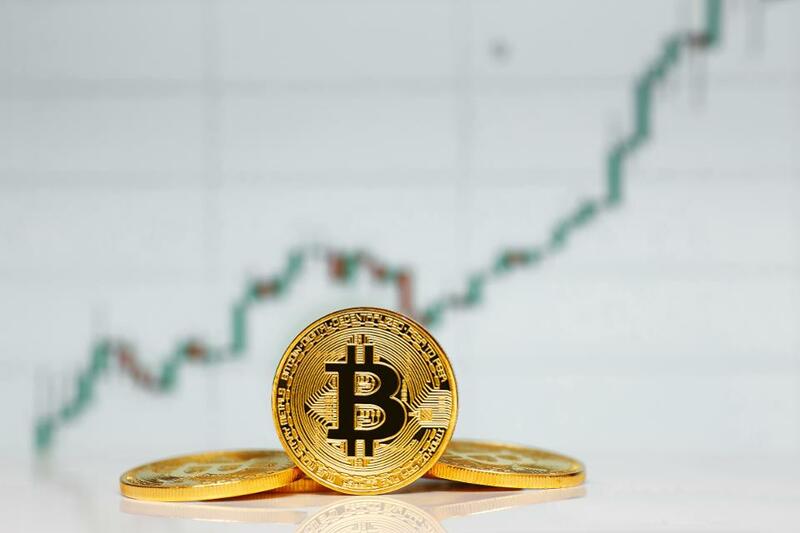 Week-on-week, BTC is up 4.77 percent, and on a monthly basis, it is carrying 45.7 percent gains. So, is the bitcoin price eyeing $6,000? Strong dip demand would seem to suggest so. The drop to $5,100 witnessed yesterday turned out to be healthy correction as expected, and the subsequent 'V' shaped recovery could be taken as an indication cash is waiting on the sidelines for a good opportunity. Further, the potential (or perceived) benefits of holding bitcoin ahead of the hard fork in November could also bring in more buyers, leading to higher prices. However, short-term overbought technical conditions persist. Therefore, the price action analysis suggests there is merit in being 'cautiously bullish' on bitcoin. 'Dragonfly Doji' is candlestick pattern with a long lower shadow (also known as long wick or long tail or long leg) and without a real body and upper shadow. The long tail indicates dip demand, while the dragonfly doji indicates indecision among traders. In this case, the price action on the following day generally decides the short-term outlook. The fact that bitcoin is well bid today indicates the bulls have been able to carry forward the strong move from the low of $5,100. Thus, prices may jump above $6,000 if the bid tone remains intact over the next few hours. On the other hand, a negative price action today would confirm a bearish doji reversal. A bullish-to-bearish trend change is likely only below $5,000 (rising trend line support). Initial coin offerings (ICOs) are outpacing traditional equity funding into blockchain start-ups but there is a risk of "over-capitalization"
Google and Goldman Sachs are two of the most active corporate investors in blockchain companies, according to a report. 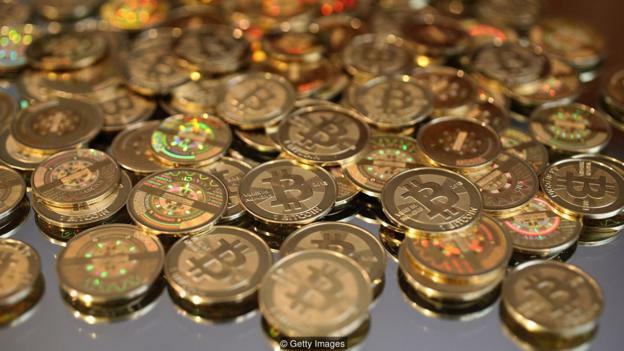 Blockchain is the underlying technology behind cryptocurrencies like bitcoin. But it is also being developed for use in a variety of industries from finance to insurance, promising cheaper and faster processes. 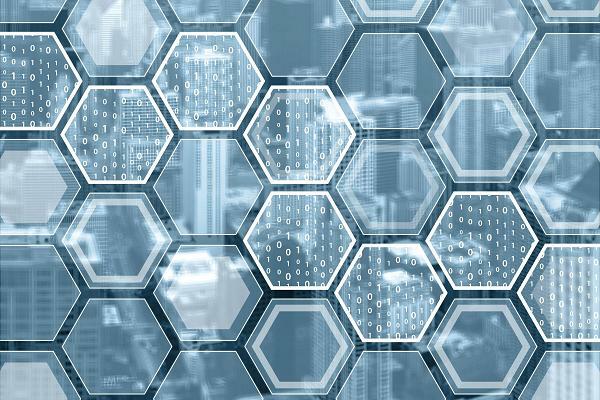 The number of corporate investors in blockchain companies hit a record high of 91 this year, just behind the 95 venture capital firms in the space, according to a report by data firm CB Insights published Tuesday. So far this year, there have been 42 equity investment deals by corporates, totaling $327 million. This is just behind the $390 million for the whole of 2016. Japanese financial services firm SBI Holdings is the most active corporate investor, having stakes in eight blockchain firms. These include R3, a consortium of banks working on new applications for blockchain technology, and Kraken, which is an exchange for people to trade cryptocurrency. Overstock.com is third, while U.S. banks Citi and Goldman Sachs are in fourth and fifth place respectively. Both companies have investments in Digital Asset Holdings, which is run by former JPMorgan Chase executive Blythe Masters. "Big banks and financial services firms were the first corporate players to make direct blockchain investments en masse — unsurprising, given how Bitcoin's underlying technology lends itself, both technically and in popular thought, to financial services," CB Insights notes in its report. 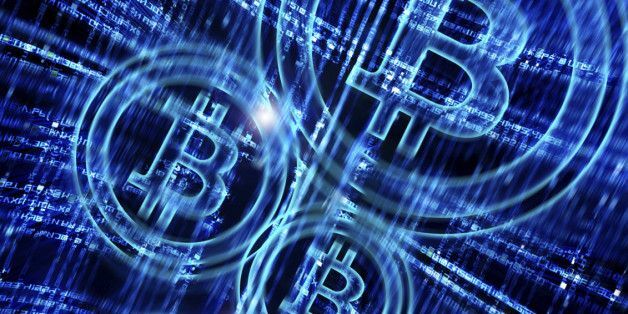 Large financial institutions are experimenting with ways that blockchain technology could be used, from trade finance, to moving money. Since June 2014, the 10 largest U.S. banks by assets have participated in nine rounds totaling $267 million in disclosed funding to six blockchain companies, the report said. At the same time, many banks are part of consortia aimed at exploring and developing blockchain technology. Hyperledger, the Enterprise Ethereum Alliance, Ripple and R3 are all consortia working with banks. The rising number of blockchain companies and interest in the technology has also brought bigger investment from other sources such as venture capitalists and so-called initial coin offerings (ICOs). At the current run rate, 2017 is on pace for 188 equity deals worth more than $830 million, up from 138 and $545 million in 2016, CB Insights said. Mega deals such as the $107 million raised by R3 and the $100 million raised by Coinbase have helped to boost the figure. But ICOs, where start-ups issue new tokens, similar to shares, in exchange for funds, have been growing rapidly. Total funds raised by ICOs surpassed the total funds raised via traditional equity financing for the first time in the second quarter of 2017, CB Insights said. More than $3 billion has been raised via ICOs, according to Coinschedule, a website that tracks the offerings. Some of the biggest ICOs include Filecoin, which raised $257 million, and Tezos, which got over $230 million in funding. But with the ICO craze also comes the risk of "over-capitalization" with teams "receiving too much money too quickly," CB Insights warned. The number of companies raising early-stage or seed funding via traditional equity deals, not ICOs, has declined over the past few years. But the risk of these companies failing is much higher than start-ups in other industries. has raised $1.6 million in a new seed funding round. Norbloc's round was led by Marathon Venture Capital, a VC firm based in Greece that launched in March. Other participants in the round include Digital Currency Group, Inbox Capital, Back in Black, as well as the founding team of classifieds website Avito, the startup announced today. The startup is one of a growing number of companies focusing on KYC, or the process by which financial institutions verify the identity of their clients. It's a use case that has attracted the interest of a number of banks (and investors), and has been the subject of a number of enterprise-level pilots to date. Astyanax Kanakakis, Norbloc's co-founder and CEO, previously worked for parent company of now-defunct bitcoin mining firm KnCMiner and later served as chairman of XBT Provider, which launched a bitcoin-tied investment product on Nasdaq Nordic in 2015. In statements, he said the startup plans to use the new seed funding to expand its existing team. "We will be drawing on the expertise and experience of our investors and our advisors as we move forward. We will use the funding to continue to build the business and acquire talent across the four markets that we are now active in," he said. and entrepreneur since retiring from the NFL three years ago. He created a coffee shop chain in Seattle; opened chicken wing eateries; started a t-shirt company; and made investments in several tech startups.Now Rice is getting into cryptocurrency. The former NFL wide receiver is participating in a token sale today for UpToken, a new version of virtual currency created by Coinme, a local Seattle startup that he advises. On Monday, Coinme opened a sale for UpToken, a new “rewards-based” virtual currency it created in part to help encourage more use of Coinme ATMs. Rice, who played for seven seasons in the NFL and three with the Seahawks, first began researching cryptocurrency last year. He got connected to Coinme CEO Neil Bergquist and installed a Bitcoin ATM in one of his Drip City coffee shops in Seattle. Now he’s advising the startup and participating in today’s token sale. Even though many questions remain about the legitimacy and future of cryptocurrency, Rice said he’s confident in Coinme after spending time with the company and learning more about the new financial technology. 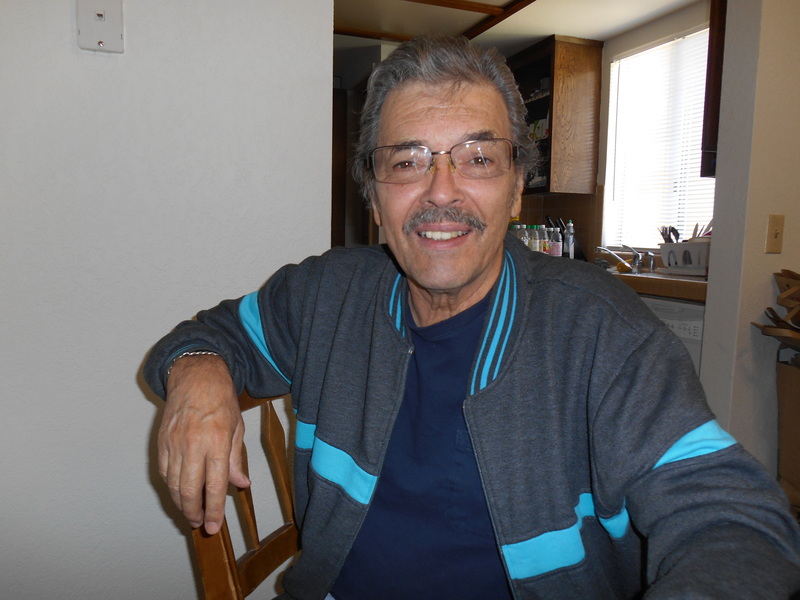 “I’m still doing tons of research and learning as much as possible, but I think I found a great group to learn and grow with,” he told GeekWire. Rice said he has lots of friends who reach out and ask him about purchasing Bitcoin and other cryptocurrency. His favorite app right now is Coinbase, a digital currency wallet — “I check it every 10 minutes,” he noted. “I definitely think people are picking up on it and in the next couple of years it’s going to be out there,” Rice said of cryptocurrency.Coinme, meanwhile, employs 25 people at its Seattle headquarters and has raised $1.5 million to date. The company makes money off transaction fees from its Bitcoin ATMs; each ATM is now processing around $100,000 per month, Bergquist said. Coinme’s mission is to enable people to buy and sell cryptocurrency, Bergquist noted. “Access is still a big barrier to global adoption,” he said. “We found that for a lot of non-technical people, ATMs are a great entry point. Most of our users are first-time crypto purchasers.” The creation of UpToken is meant to further this adoption. Bergquist compared it to a cash-back program and described it as a “new genre of loyalty token.” Users will be able to buy and sell UpToken at the Coinme ATMs, just like they can buy and sell other cryptocurrency. “By just giving people an alternative currency from the one of their potentially-unstable government’s currency, it gives them options to thrive, and protection during periods of hyperinflation,” he said. Bitcoin reached record high prices last week amid rumors of Amazon accepting the currency, as Bitcoin’s market capitalization exceeded that of Goldman Sachs. But there is still a feeling of uncertainty around this nascent industry, particularly as government regulators crack down on cryptocurrency. The price of Bitcoin and other currencies continue to fluctuate wildly. into cryptocurrency. In the kind of unveiling that can only come before one of the biggest events in global finance, IBM is revealing today at Sibos 2017 the results of a partnership with blockchain startup Stellar in which it successfully settled real transactions using the company's custom cryptocurrency, lumens. While currently limited to cross-border payments involving British pounds and Fijian dollars, the early-stage platform is nonetheless designed to scale to handle seven fiat currencies in the South Pacific – including the Australian dollar, the New Zealand dollar and the Tonga pa'anga. Perhaps the platform's most distinguishing characteristic, however, is that the project showcases how private and public blockchain technologies are increasingly being used in tandem. While IBM's blockchain solutions are designed to complete much of the workflow around transaction clearing, the actual settlement will be conducted using Stellar's blockchain. In this case, Stellar's lumen serves to digitally connect fiat currencies, allowing for nearly instant exchange without the consumer or buyer ever touching the cryptocurrency itself. "When trading between multiple currencies, it helps to have a bridge currency to reduce the ledgers needed to maintain. Lumen provides that single ledger that can bridge currencies." Taken together, however, this partnership goes beyond just technical implications. Not only is the partnership an outside-the-box move for IBM, which has largely focused on its own blockchain platforms, it's a big win for Stellar, which having emerged from the Ripple founding team hasn't had quite the same growth, perhaps attributing in part to its focus on developing markets. The partnership is also evidence of the extent of collaboration between blockchain firms and the wider financial world. To make the project work, IBM had help from partners including National Australia Bank, TD Bank and Wizdraw (HK) of WorldCom Finance. The payments themselves are conducted for the Advancement of Pacific Financial Infrastructure for Inclusion (APFII), an organization of member financial institutions founded by the United Nations and Swift, and operated by KlickEx, a privately-held direct clearing provider that specializes in cross-border digital remittances. According to IBM's vice president of global blockchain development, Jesse Lund, getting all these players to work together is just an extension of IBM's mission to collaborate with financial institutions to develop a blockchain ecosystem. To that end, the platform is already integrated with IBM's Financial Transaction Manager, which itself is integrated with ACH, SEPA and other electronic transaction networks. Going forward, APFII's confirmation receipts are expected to be published as MT103 Swift messages directly to the blockchain. "This in many ways is just an extension of that, wherein we're providing, in collaboration with banks, and in the process developing this blockchain ecosystem," said Lund. For now, the new project is also a balancing act – at once both a small advancement of early-stage technology and an aspirational advance toward more lofty goals. While the trial with APFII has been ongoing since last week, the CEO of ClickEx, Robert Bell, said it's too early to provide any numbers about transaction volume. But still, he expects as much as 60 percent of the cross-border retail market in the region to be transacting on the platform once all seven currencies are added (the Australian dollar will be the next currency integrated). "For the first time, blockchain is being used in production to facilitate cross-border payments in multiple integrated currency corridors," Bell said. IBM also sees the demo as one with implications for the digitization of central bank money – a concept that's gotten a significant amount of attention recently as central banks around the world grow more interested in figuring out how the technology could create efficiencies. "Our long game is to support multiple different types of digital assets,"
"And I'm very confident that you will be seeing central banks coming forward with their own digital asset issuances that will be a much more formidable construct of this model." Today, that future will be discussed in greater detail on stage at Sibos in Toronto, where a panel with representatives from IBM, TD Bank and CLS will discuss the project with the CEOs of both Stellar and KlickEx. "It's going to be a wild ride,"
"We've got the bankers and the renegades altogether." have urged Bitcoin holders not to sell, as even mainstream news consumers stay bullish on its future. In a tweet over the weekend, Dotcom, who is now fully signed up to Bitcoin to power his latest creation, reiterated the lucrative nature of ‘hodling’ funds. His comments came a day before WikiLeaks founder Julian Assange revealed he had turned 50,000 percent profits from Bitcoin funding of his resource, as a direct result of the US government blocking credit card payments. Assange, also using Twitter, wryly expressed his “deepest thanks to the US government,” which made the decision back in 2010 when a single Bitcoin was worth less than $0.10. 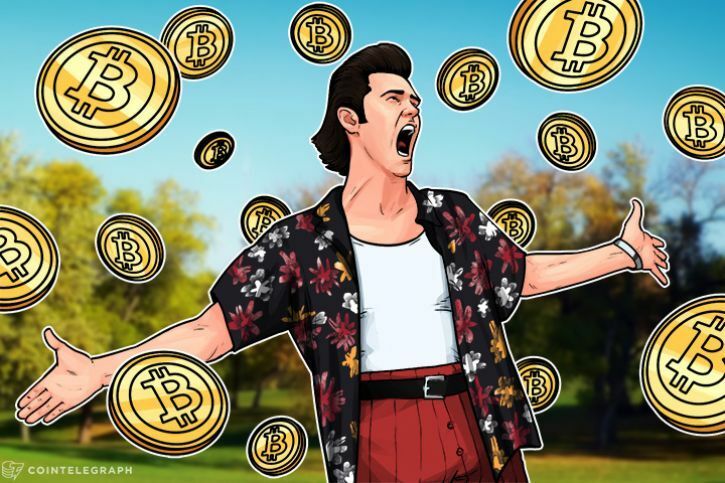 While vocal proponents of Bitcoin’s long-term investment prospects are becoming increasingly well-known, a survey by CNBC meanwhile suggests more and more mainstream consumers are beginning to share their positivity. Reporting on Assange, the publication asked users to choose a likely future Bitcoin price, without specifying a timeframe. 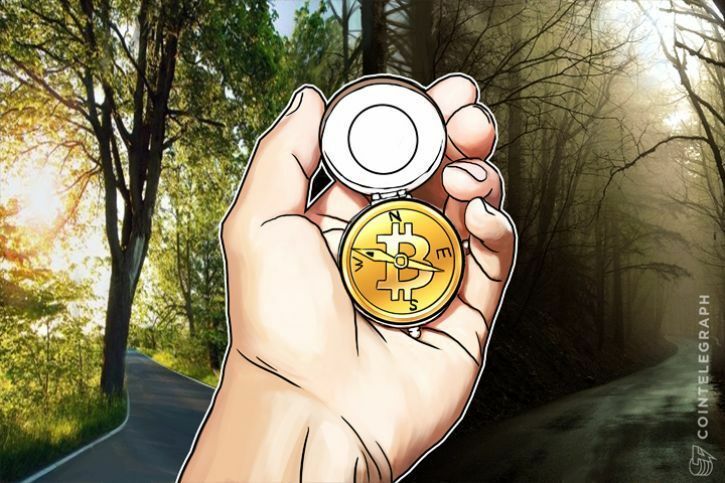 Out of three options – over $10,000, $6-8,000 and “Jamie Dimon is correct” – the majority of the roughly 5000 respondents chose the first, reflecting optimism as Bitcoin continues to circle all-time highs around $5,700 Monday. KlickEx already has an extant payments network operating in Southeast Asia from its base in New Zealand. Now, a group of “diverse banking leaders” will assist in the”development and deployment process” of the Blockchain-backed solution, which is already in active use, IBM states. The move sees a significant implementation for Stellar within the global financial framework of legacy institutions, putting it alongside Ripple as one of the principal entities in Blockchain-based institutional settlements.This caps a year of outreach initiatives, with marketing ploys such as a grants program and the release of the Lightyear spin-off hoping to attract wider attention and participation from investors. has become the latest high-profile Bitcoin personality to criticize SegWit2x. In comments on Twitter Sunday, Fenton triggered responses from other well-known Bitcoin industry and community figures after he wrote that he “didn’t see the benefit” of the hard fork. “What's the end goal? Switching dev teams alone?” he asked. SegWit2x’s imminent activation has led to increasingly hostile rhetoric from supporters of Bitcoin Core, who frequently suggest the fork is an attempt to unseat its developers as a “hostile takeover.” Fenton stopped short of stating outright SegWit2x would be hostile to Bitcoin, instead appearing to reinforce the futility of the operation. “If the goal is to simply to honor agreements then people shouldn't have made those agreements to begin with,” he added in a further tweet. “I don't think goal is to switch, but to coerce Core to adopt block size increase,” BitGo engineer Jameson Lopp wrote, while entrepreneur Tuur Demeester conversely stated his opinion to the contrary. Despite the supposed threat posed to Bitcoin network stability, prices have increased in the run-up to the fork’s November 18 deadline. Meanwhile, the fifth hard fork of Ethereum occurred problem-free over the weekend, with prices rising towards $350. of being disrupted by blockchain, Swift took a notable step today toward becoming a disruptor. Revealed on the eve of its largest annual event, Sibos, the inter-bank platform, along with six banks including BNP Paribas, BNY Mellon and Wells Fargo, has deemed its flagship blockchain trial a success from both a technical and business perspective. First announced in January, the proof-of-concept tested whether moving funds stored in nostro-vostro accounts for international transactions to a blockchain could free up those funds to further investment. But in spite of the PoC achieving multiple objectives, Swift says there's still a long way to go before implementation, primarily since its 11,000 members will not benefit equally from the project In conversation, Swift's head of R&D Damien Vanderveken explained that some banks that have invested heavily in traditional, centralized solutions for nostro-vostro accounts are already experiencing efficiency gains, and as such might not be as keen to invest in a blockchain-based solution. "The PoC demonstrated that it can fulfill the requirements. The business value depends on the level of automation of the participants. We will need to make sure for the final solution that we take care of the different levels of investment." Built as part of Swift's Global Payments Innovation initiative (GPI) within its newly revealed DLT sandbox, the PoC uses the open-source Hyperledger Fabric platform to test two main applications. The first used real, anonymized production data from each of the banks to provide "the account owner and the account servicer a complete view of all the nostro-vostro accounts that they own or serve," Vanderveken said. The second simulated back-office procedures, which gave the participants a node hosted in the cloud to test the benefits of moving funds from multiple accounts to a single distributed ledger. These two applications provided users not only increased visibility of and access to available funds, but also simplified the reconciliation process, which uses Swift's ISO 20022 standard. "The feedback from everybody is unanimous," said Vanderveken. "What we have built in terms of applications actually does meet the requirements." While the nostro-vostro blockchain PoC was deemed a success, Swift also noted several limitations. In particular, Vanderveken said Swift is concerned about the possibility that cryptographic security could be hacked with quantum computers. A technology still in the proverbial petri dish, the thought has pushed Swift to create a "hybrid architecture," where some transaction components were distributed on a blockchain, while others were "operated by a neutral third-party." At the top of the list for the latter was the identification of participants, or as Swift described it earlier this month in a paper jointly written by BCG Financial, "a universally trusted global KYC registry." For businesses like Swift, which operate in permissioned systems, this is considered a crucial security feature. "If you want to ensure data confidentiality, and you don't want to rely solely on encryption — which is prone to failure in the long run as encryption becomes hacked by technology progress — you need to have solutions where data is then segregated." This successful test of Swift's blockchain PoC is particularly notable leading up to the Sibos conference in Toronto, since the financial incumbent has stiff competition with distributed ledger startup Ripple hosting a competing event called Swell. Twice during Sibos, Swift will demo the PoC in front of a live audience. But while participants (of both events) perform their own cost-benefit analysis of blockchain, the second phase of Swift's POC will already be underway. Since Sept. 27 financial institutions — including ABN Amro, Deutsche Bank and JPMorgan Chase — have been validating the PoC results, with a final decision expected by the end of year. But one thing is certain, Vanderveken said Swift only intends to move forward in implementing the new technology if its members benefit. "We need to take care of the differences of the various banks to make sure such a solution is successful." Palatnick takes stock of blockchain technology's progress in transforming the plumbing of global markets, and explains why cooperation is critical for further advancement. While 2016 was referred to as the year of the blockchain proof-of-concept, 2017 has become the year of the blockchain pilot. While the progress has been remarkable, it's important to be mindful of the critical role that industry collaboration has played in accelerating development and advancement. 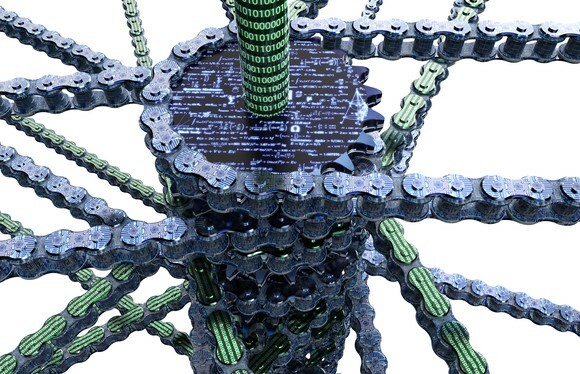 Shortly after the blockchain conversation started across the financial services industry in 2014, a number of participants began to realize the value that distributed ledger technology could bring to the financial markets. For DTCC, distributed ledger technology represents a generational opportunity to reimagine the post-trade infrastructure through its potential to harmonize and streamline the costly, burdensome reconciliation process the market currently operates in. By providing a single version of the truth to all parties, DLT can fundamentally alter how financial transactions are entered, stored and shared. Just three years later, the industry has made significant strides in turning blockchain from a concept to reality. We've seen initiatives move from PoC to pilot, and a number of efforts are underway to operationalize the tech. Although still in the early stages of implementation, the industry has learned that collaboration is critical. The key to reaching the full potential of blockchain technology lies in fostering industry-wide collaboration and aligning the technology with the industry's longstanding core principles of mitigating risk, enhancing operational efficiencies and driving cost efficiencies. After all, the underlying technology itself calls for collaboration. Interoperability and standardization in utilizing blockchain can only be achieved when the industry joins in support of a common goal and a single ledger. DTCC believes the core of any distributed ledger solution for the global financial industry must be based on open source, not owned by any single vendor and aligned around best practices and established standards. Until recently, there were no viable open-source models for distributed ledger technology. 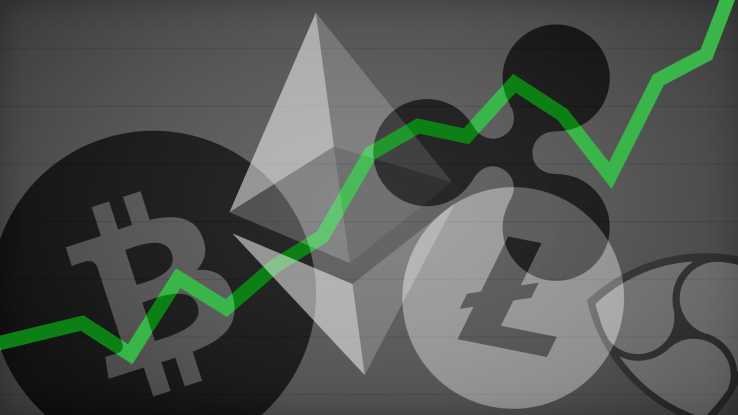 However, that is quickly changing due to the development we’ve seen this year from organizations like Hyperledger and the Enterprise Ethereum Alliance. Hyperledger, the first enterprise-oriented open-source collaboration project created to advance cross-industry blockchain technologies, recently gained support from 10 new members, including the Gibraltar Stock Exchange and DLT Labs, bringing its total membership to 18,765 members. The recent release of Hyperledger Fabric 1.0 is an example of what the industry can achieve through community effort, where 159 developers from 28 organizations joined together to incubate the project. The release marked a significant milestone in the evolution of distributed ledger technology, proving the critical need for collaboration. Having been established just earlier this year, the Enterprise Ethereum Alliance has quickly gained 120 members to its consortium, which has the mission of evolving ethereum into an enterprise-grade technology. The rapid growth in membership and support from major players such as State Street, JPMorgan Chase and BNY Mellon, as well as DTCC, shows the evolving acceptance and deployment of open-source distributed ledger technology in the global marketplace. DTCC believes this is one of the many ways in which the industry has and will continue to benefit from collective contributions, and is why we're leveraging the Hyperledger network to provide a DLT framework to drive further improvements in derivatives post-trade lifecycle events. Through our work with IBM, Axoni and R3, we're rebuilding our trade information warehouse, which provides processing services for about 98 percent of all credit derivative transactions globally. The initiative is underway and, in 2018, nearly the entire global $11 trillion market for credit default swaps will run on a distributed ledger. As the adoption of distributed ledger technology grows, as in any open market, many different innovations will be proposed and pursued. The challenge for the financial industry, and for an emergent technology like distributed ledger, is about creating networks that share information and technology, and the need for continued collaboration. Without collaboration, DLT solutions will leverage proprietary, separate models that will ultimately recreate the many silos and disjointed systems that already exist today. In the financial industry, this could lead to bifurcated markets, reduced liquidity, greater risks and a suboptimal experience for the investing public. It is essential that we work together across industry organizations, technology providers, market participants and market structure providers to develop best practices and interoperability standards for this technology in order for DLT to truly live up to its potential.